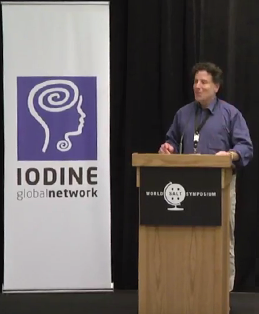 At the Iodine Global Network, we know the power of partnerships and working closely with others – it is our modus operandi as we lead the global fight against iodine deficiency. This year’s WSS was a unique opportunity to reflect on the tremendous contribution made by the salt industry. 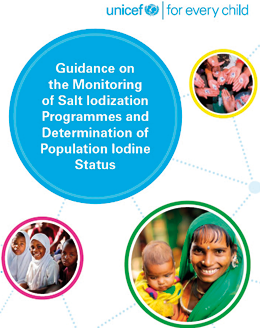 New UNICEF publication addresses challenges and common mistakes in monitoring national iodine programs. 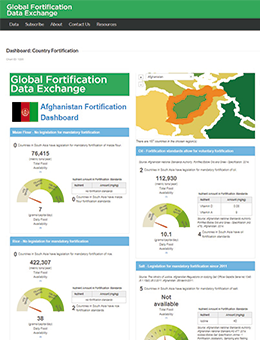 Introducing a new data visualization from the Global Fortification Data Exchange (GFDx): Country Dashboards. Country Dashboards give a picture of the food fortification situation in each country, bringing together information on fortification of maize flour, rice, wheat flour, oil, and salt with critical nutrients. Links on the dashboard will take you to global visualizations for each nutrient or food. The GFDx is a collaboration between the IGN, the Food Fortification Initiative (FFI), Global Alliance for Improved Nutrition (GAIN), and Micronutrient Forum. Boston, MA, USA. 9-12 June, 2018. 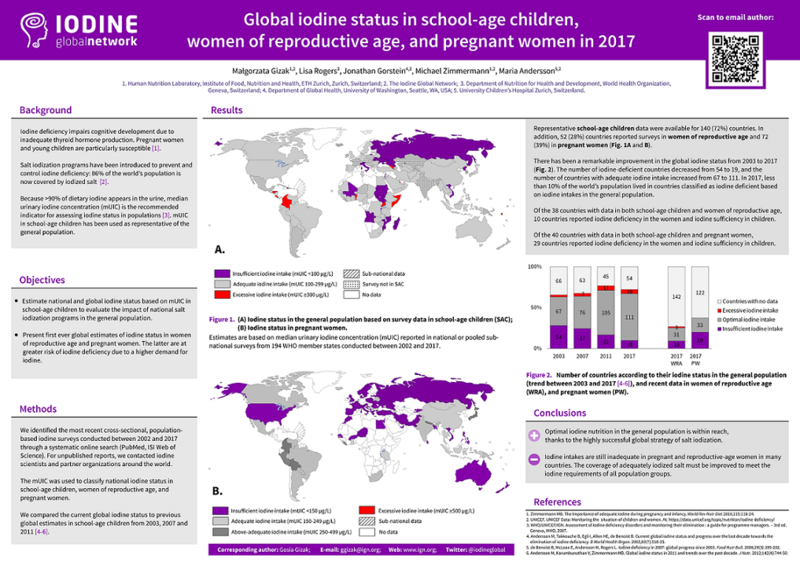 At the annual conference of the American Society for Nutrition (ASN), IGN presented a poster: "Global iodine status in school-age children, women of reproductive age, and pregnant women in 2017". Click here to download the PDF. 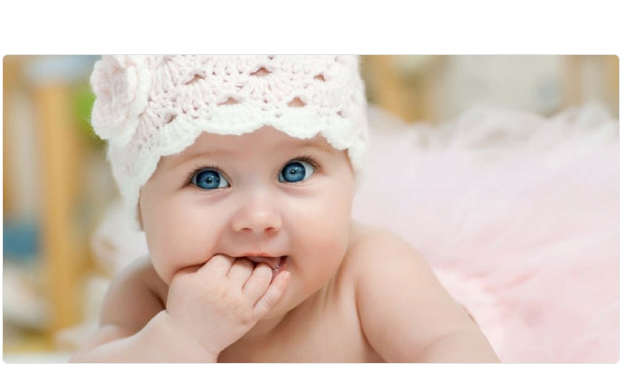 "Scientists fear up to 50% of all new-#borns in #Europe do not reach their full #cognitive potential due to #iodine deficiency. Thank you @iodineglobal for joining our meeting with @SanteBelgique to discuss the urgency of implementing key measures to tackle #iodine deficiency." Sustained control of iodine deficiency in Sri Lanka. By Dr. Renuka Jayatissa, Prof. D.N. Fernando, and Dr. Himali Herath. The Sri Lankan National Iodine Survey of schoolchildren (6–12 years) was carried out by the Department of Nutrition of the Medical Research Institute in collaboration with UNICEF and the World Food Program. Fortified salt protecting childhood development. Report from the 2018 World Salt Symposium. Source: Salt Institute. June 20, 2018. Iodine Defined: Why you need the nutrient and why iodine deficiency can be harmful. By Angela Lemond (medically reviewed by Kelly Kennedy). Everyday Health. July 5, 2018. The 3 most common signs of iodine deficiency. By Jane Bianchi. Prevention. July 3, 2018.